Wander through the county's varied and interesting landscapes; across open downland, through broadleaf forest and along evolving coastline. The routes are split into two areas – the South Downs and the Weald – and include walks in Ashdown Forest, around Cissbury Ring, over Ditchling Beacon, to Pooh Bridge and along the coast near West Wittering. Each route contains snippets of information on the local area. Learn about the wildlife, the history and the people of the countryside you're walking through. Every walk also includes 'creative starting points' – ideas to encourage you to reflect and respond to the landscape. Deirdre Huston is an outdoor photographer and guidebook author with an interest in history and ecology. She makes short films mixing archive materials with contemporary research. 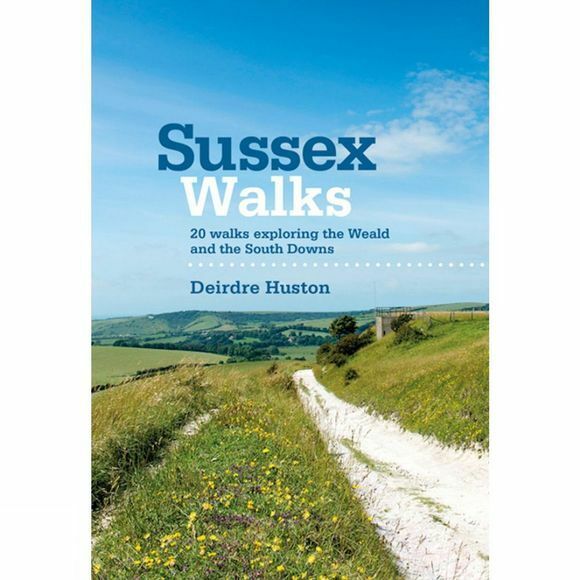 Author of Day Walks on the South Downs and Cycling Days Out – South East England, her work is frequently inspired by the outdoors. Deirdre is a member of the Outdoor Writers and Photographers Guild. See www.deirdrehuston.co.uk for further information. Deirdre is a qualified teacher and part-time lecturer in photography. She lives with her husband and three children in Sussex.